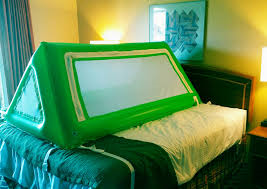 Inflatable safety beds for special needs travel or stationary. They are individualy made of high materials to withstand kicks and movement. The beds are twin size, and adjustable strapping allows to attach to any size bed. Zippered, netted panels provide easy entry and exit on each side; the zippers have a locking mechanism to be used for additional security if needed for your loved one. 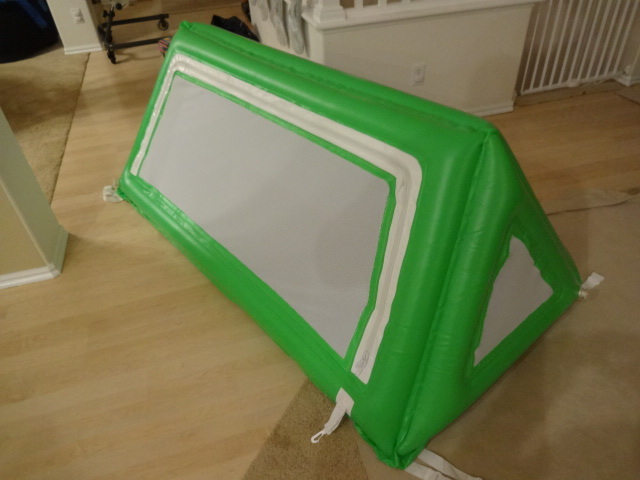 The netted side panels also give air movement through the bed. The floor is made of soft, felted plastic for comfort and water tight. Each bed weights approx. 16 pounds. Each bed comes with a manual pump and a duffel bag. 13 votes. Average: 4 / 5.